Jonah Hill’s life is filled with exciting new prospects at the moment, and the mystery woman he’s been dating has been confirmed to be Isabelle McNally. Jonah Hill had a pretty good year in 2013, but things may be even better for the Superbad actor in 2014 because he has a new love in his life. There was much speculation as to whether the actor was actually dating actress Isabelle McNally, although the pair had been spotted together since September. At the time, the two were snapped as they walked with their dogs in West Hollywood, California, and they looked happy and relaxed in each other’s presence. They have been spotted on numerous occasions looking loved up ever since. And now it has been confirmed: They are officially a couple. A source revealed to Us Weekly that the pair are, in fact, dating and have been for longer than we have suspected. “It’s been going on longer than that, [a] few more months,” the source said. After recently turning 30 years old and celebrating his big birthday bash at Tao Downtown in New York City, New York, in a private room, the star is growing up. 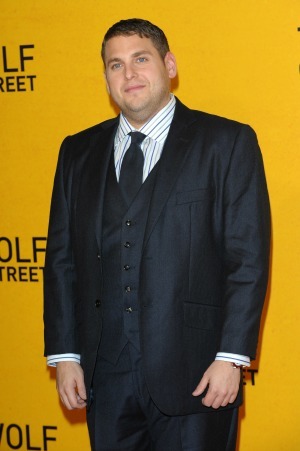 The jolly actor has been praised for his recent role as Donny Azoff in new Martin Scorsese film The Wolf of Wall Street, and his transition from comedic roles have shown how versatile and grown up he has become. He has even more to be thankful for in the new year because he has a welcome addition to his life — a girlfriend. It is about time Hill found happiness once again after his heartbreak in October 2011, when he split from his long-term girlfriend Jordan Klein. He then went on to find love again with Dustin Hoffman’s daughter Ali Hoffman before it ended in heartbreak once more. We hope this relationship could be the This Is the End actor’s happy ever after.